The Domestic Relations Laws of New York State permit either spouse to file for a divorce even if one is an inmate in state prison. As with any other divorce action in this state, there are certain criteria that must be met in terms of residency and grounds, and there are further stipulations if one spouse is incarcerated. If you are not sure how to proceed, consult an experienced divorce attorney for additional guidance. In New York State, there are seven grounds, or causes, to commence a divorce action. The incarceration of a spouse is considered one of the grounds for divorce in this state, providing the spouse has been imprisoned for three years or more prior to filing for divorce. If your spouse has been sentenced to serve three or more years but three years of confinement have not yet passed, you cannot use incarceration as grounds for divorce until that period of time has passed. If you want to divorce sooner than three years, you can divorce on “no-fault” grounds based on the irretrievable breakdown of the marriage. To file for divorce in New York State at all, you must satisfy certain criteria relating to residency in the state. If the grounds for divorce is the incarceration of the other spouse for three or more years in a New York State prison, then the spouse bringing the action must have resided in the state for one year prior to filing for divorce. If you are the petitioner in the action, meaning the party initiating the divorce proceeding, you must serve your spouse, the respondent, with a Summons and Complaint, which are usually annexed together and treated as a single document. A copy of the Summons and Complaint, together with an Affidavit of Service to show that service was properly made, is filed with the county clerk’s office. You will need to purchase an Index Number to file these papers with the clerk, which identifies the file by number and the year the action commenced. 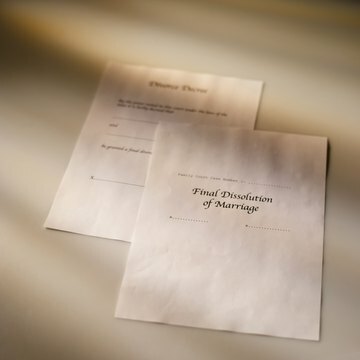 If you wish to file for divorce while you are an inmate in New York State, you must follow the same procedure as a non-inmate; however, you may want to cite other acceptable grounds for divorce, such as adultery. You can also file using “no-fault” grounds. If you want to file for divorce from prison but cannot afford an attorney, you can ask the court to appoint one to represent you. The Ohio courts of common pleas recognize fault and no-fault grounds for divorce. No-fault divorce is facilitated by voluntary separation for 12 months or an uncontested claim of incompatibility made by either spouse. It is also possible to achieve a dissolution of marriage, providing both parties are in complete agreement regarding property division, custody and child support. Otherwise, there are several fault-based grounds for getting a divorce in Ohio, including willful desertion. Can a Divorce Take Place in Texas if the Spouse Is Incarcerated?